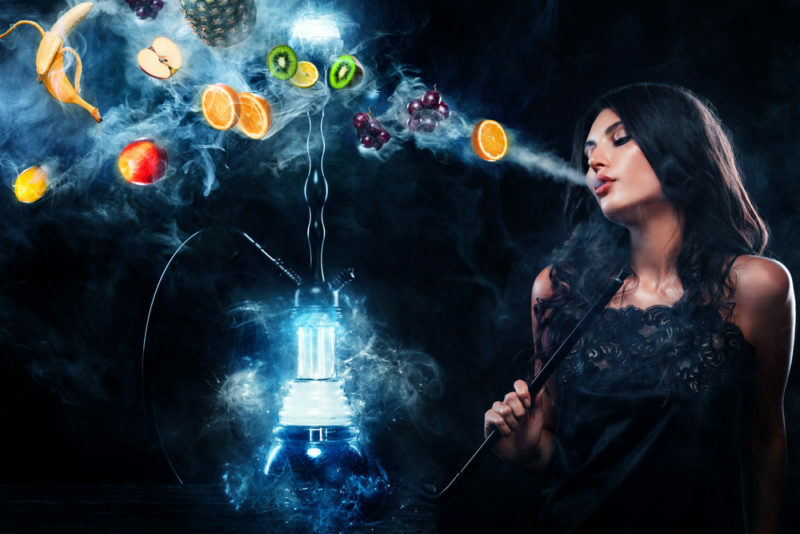 Whenever our team at Rakija Lounge is asked to explain what hookah is, we like to say: that thing the caterpillar from “Alice in Wonderland” is smoking out of. 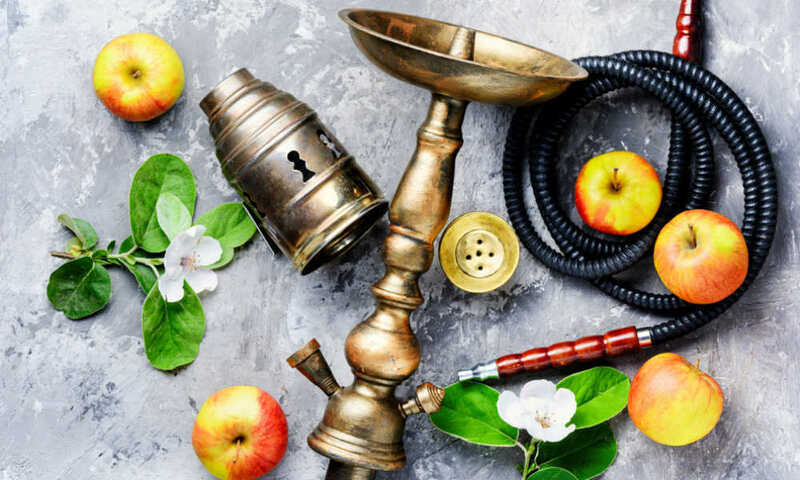 Jokes aside, hookah is a rather important device in the smoking and vaping culture, so let’s delve a bit deeper into hookah history, origin, and culture. Though hookah is the most widely spread and used name for this smoking device, it goes by many other different names around the world. Some of them include nargeela, nargile, narghile, shisha, sheesha, okka, kalyan, ghelyoon, ghalyan, goza, hubble-bubble, etc. Most of these expressions are of Somalian, Arab, Ethiopian, Indian, Turkish or Persian origin. According to most testimonies, stories, and writings, hookah reached its full potential in India, while some people claim it was actually invented in Persia. 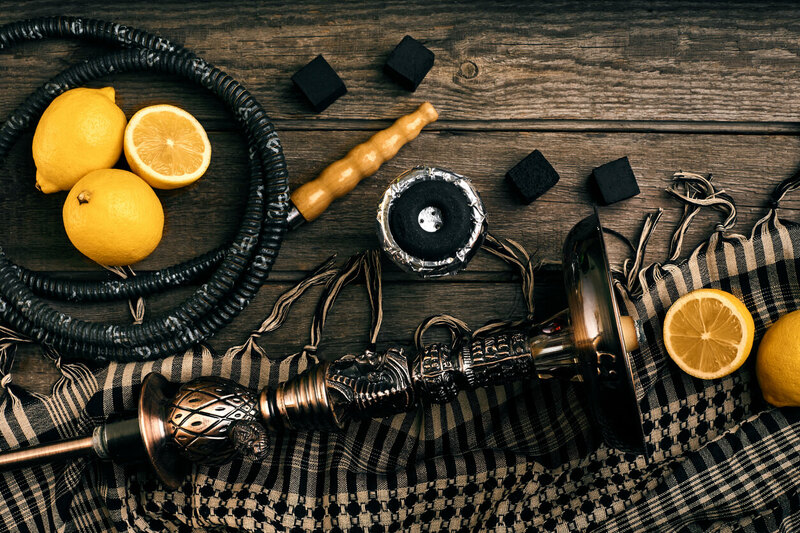 The term hookah is derived from the word haqqa, which means “pot, jar” and “cavity, hollow.” Though it goes by many names, as we mentioned above, people in the U.S. like to refer to this type of smoking device as shisha. This is, however, incorrect as shisha refers only to the glass base of this instrument, but the term did catch on. Hookah, in the form it exists today, was invented around the 15th century in India. It all started when the Indian glass manufacturing business started to bloom because the British East India Company began exporting glass to India. The culture and the mystique behind this device soon spread to Iran where people started using hookahs to smoke Ajami, a flavorless but strong type of tobacco. During the Ottoman Empire reign, hookah really took off. The Ottoman sultans even insisted on taking portraits with their hookahs. It became somewhat of a status symbol and important people liked to smoke out of it at diplomatic meetings and royal dinners. A typical hookah consists of several components, each of them equally important for a perfect hookah experience. The uppermost part is called the bowl or the hookah head; this is where the coal and the tobacco is held during the smoking session. Then there are the tray, the stem, release valve, hose gasket, hose port (where the hose goes in), hose, vase gasket, vase (water base); and in that order form up to bottom. Some hookahs have a windscreen that is used to cover the bowl area and keep the wind from ruining your hookah experience by making the coal burn too quickly. The vase (or water base) is filled with water so the down stem is submerged. Perforated metal screen or foil sheet is then used to cover the bowl. Hot pieces of coal are then placed on top of the foil sheet so the tobacco in the bowl can heat up to an appropriate temperature. When the user starts sucking the air through the hose, more heat is then drawn on the tobacco, which enables and accelerate the transfer of heat. By drawing air through the hose, the smoke is being sent down through the down stem and underwater. Subsequently, the smoke goes up above the water surface in the water base and into the opening of the hose port, which is connected directly to the hose port. The smoke then continues to flow through the hose and reaches the mouth of a user. Spread the coil evenly across the foil so the tobacco would burn more consistently. Add about 2 inches of wine into the vase for enhanced flavor. Add some citrus fruit (lemon, orange, mango, grapefruit) to the water for fruity sensation. Add ice cubes to vase water for ice-cold smoking sensation. We hope you enjoyed our hookah history lesson. What are your hookah-related experiences? Feel free to leave a comment below, and make sure you visit Rakija Lounge blog for more articles like this one.